The New England Irish Harp Orchestra launched our newest Holiday CD this past December. We have a host of other instruments on the CD along with the harps. Please email me if you'd like to purchase one. I have a number of concerts coming up in March, both solo and with The New England Irish Harp Orchestra. Please visit the calendar for all the events. The Orchestra is celebrating 15 years of harping together. We are planning a big reunion this coming June 15 2019 at The Burren in Somerville, MA. Details to follow. 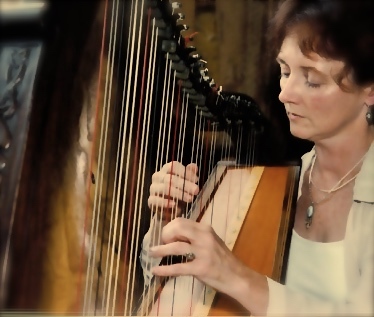 Summer harp camp - 'Tunes and Technique' will be Thursday-Saturday 18-20 July 2019. Please email me for details. Always a great time at harp camp....good music, food, drink, swimming, hiking and general tom-foolery on the lake! If you're interested in lessons, booking, or anything harp-related, please write.